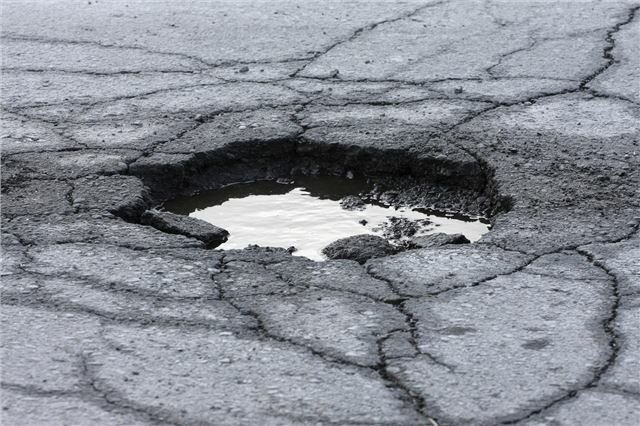 TyreSafe has warned that the current pothole epidemic in the UK is a threat to road safety, and urges drivers to check their wheels and tyres regularly. In 2012 compensation claims from drivers who've endured damage cost local councils a total of £22.8 million in compensation claims. The warning has been issued by TyreSafe, a non-profit UK-based tyre safety organisation. It advises that all drivers should regularly check their tyre pressures, as well as inspect them for signs of damage such as cuts, lumps or bulges. Also, drivers should take a close look at their alloy wheels for signs of weakness and cracking (see below) - especially in the wake of any contact with a medium- to high-speed contact with a pothole. Potholes are once again a widespread problem following a short, cold winter, and drivers should be alert as councils race to fill them all in. One TyreSafe member reported more than 100 customers with damaged alloy wheels visited one of its outlets during January 2013. Drivers unsure of their correct tyre pressures can find details in their vehicle handbook, inside the fuel filler cap or on a plate on the driver’s door sill. Check your tyre pressures at least once a month or before a long journey. Pressures should be checked against the vehicle manufacturer’s recommended level. This can be found in the vehicle handbook and on a plate which is often located inside the fuel filler flap or on the driver’s door sill. Check the pressure when tyres are cold (i.e. when you have travelled less than two miles). If you are carrying a full load of passengers or luggage or will be towing a trailer or caravan, tyre pressures should be increased in line with the vehicle manufacturer’s recommendations. Details can be found in the vehicle handbook. Ensure a reliable and accurate pressure gauge is used. Check the pressure in all four tyres not forgetting to check the spare tyre as well. While checking pressures, give the rest of the tyre a visual inspection. Remove any stones and other objects embedded in the tread. Look out for any bulges, lumps or cuts.